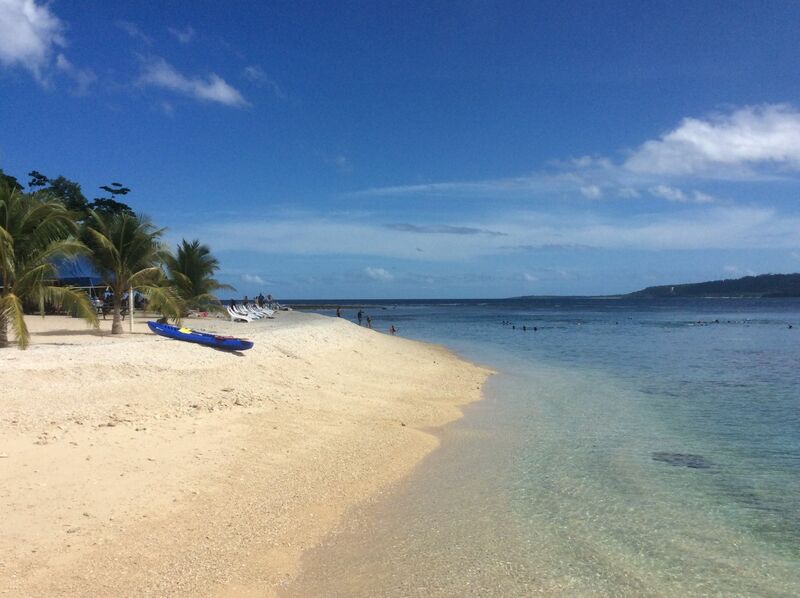 Located in South Pacific Ocean, this island is one of the best for scuba diving, snorkeling and open water swimming. The clear and warm water conditions give swimmer unforgettable experience. Yes, you will be swimming in oceans natural aquarium. Hideaway Island, Vanuatu is located 100m offshore from Mele Beach which is approximately 10km from main City Port Vila. The Island is marine paradise surrounded by clear turquoise water and coral reefs. 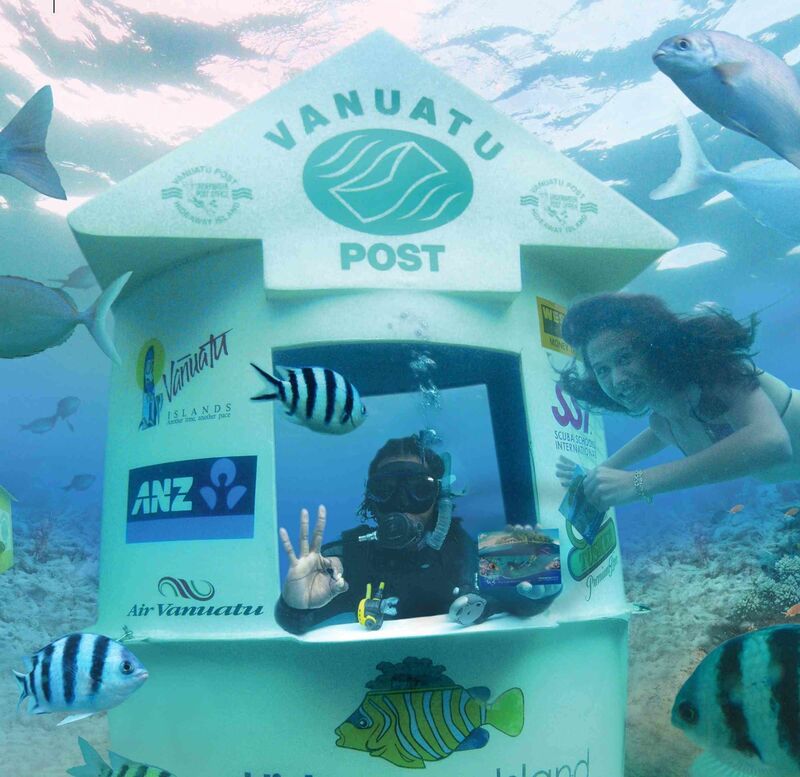 The Island is famous by post office sits is three meters of water. The island is paradise for open water swimmers accommodation, restaurant beach and great swim location is located on one place. Your swimming holidays! All swimmers are welcomed. 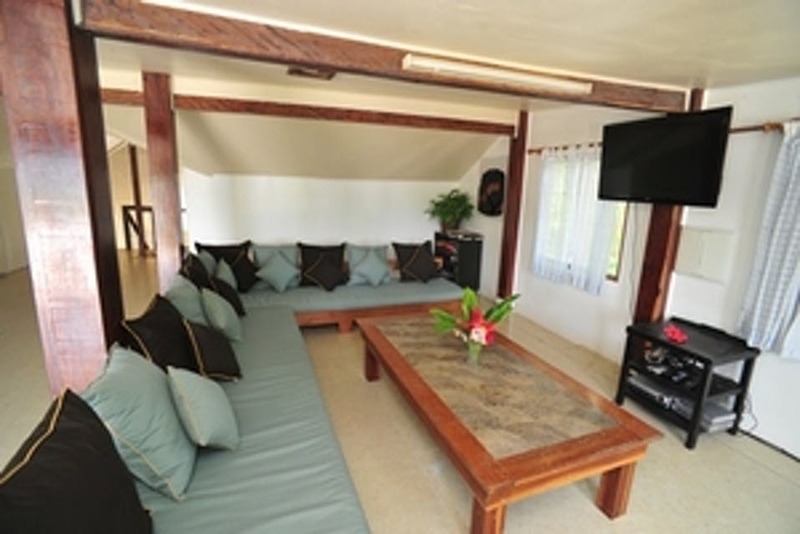 Accommodation is on Hideaway Island, approximately 15min from Port Vila, the capital city and 100metres from Mele Beach. Resort offers 6 Styles of Accommodation from one bedroom Oceanside to share dormitories. However it can be upgraded to single occupancy at extra charge. This is at additional cost to our swim package. Air Temperature: 25°C average temperature. 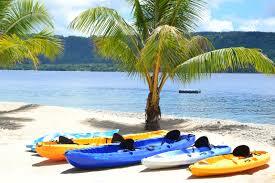 May to Sep are best months for travel to Vanuatu, due to less rain and super hot days. Marine Life: plenty of marine life to see in the waters around the island. Definitely bring underwater camera! Where do you swim? Pool and/or ocean; in a swim squad or on your own? Once a booking is made and a deposit received, you will be issued with a confirmation invoice. Please check the invoice to ensure all details are correct and contact us immediately if this is not the case. Once the invoice has been issued, booking arrangements with other tour suppliers will take place. DEPOSIT AND BALANCE A non-refundable deposit of $550.00 is required per person to secure a booking. FINAL PAYMENT is due 60 days prior to departure. 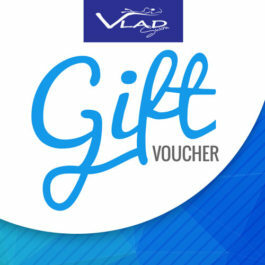 Failure to comply may result in cancellation of the booking and forfeit of the deposit PAYMENTS Payment can be made by direct transfer to our nominated bank account or via PayPal payment to info@vladswim.com.au CANCELLATION (a)	Bookings cancelled at any time after confirmation is subject to the forfeit of deposit, including any additional deposits required by suppliers. (b)	In addition to this fee are any charges made by the hotel, tour operator, or other principal(s). This can amount to up to 100% of total land arrangement costs, particularly when cancelling tours and other arrangements within 45 days of departure. (c)	Airfares – since you are booking your own flights, please take out Travel Insurance. This may prevent you having to forfeit fees paid to airlines, in the event of cancellation. SERVICE FEE We reserve the right to charge a fee for services rendered, irrespective of reason for cancellation. COSTS Quotes are inclusive of service fees. Individual costs for hotel, swim and administration services cannot be quoted separately. NOT INCLUDED IN HOLIDAY PRICES Costs of return flights, transfers, passports and visas, local transport costs; meals other than those specified in the itinerary; excess baggage charges; personal items such as phone calls, laundry, drinks, etc. ; airport taxes; costs in Australia, Australian departure tax. CHANGES IN PRICES In this time of economic instability, it is impossible to foreshadow accurately fluctuations in exchange rates or increases in the cost of fuel, accommodation, and services in general. Also tour price is based on minimum number of participants travelling together. Price may increase if numbers are not reached. We reserve the right to adjust our prices as may be necessary at any time, up to 30 days prior to departure. An alternation shall be made if the increase in price is greater than 2% of the total price of the trip. If the increase is more than 10% of the total price of the trip you will be given the following options: (a)	Accepting the change offered (b)	Cancelling the trip and receiving a refund, except for any payments already made to the hotel or other principals. Should you decide to cancel you must do so within 14 days of the notification. In the event that the total tour price decreases by more than 2%, any tour balance shall be refunded. Although no changes are anticipated we reserve the right to make such changes if necessary. UNUSED SERVICES Due to weather, transport delays, strikes and other causes beyond our control, and beyond the control of our overseas representatives, there is a possibility of contracted services not being extended. Whilst we will make every endeavour to secure refunds for the same, we will not be held responsible for refunds not forthcoming. 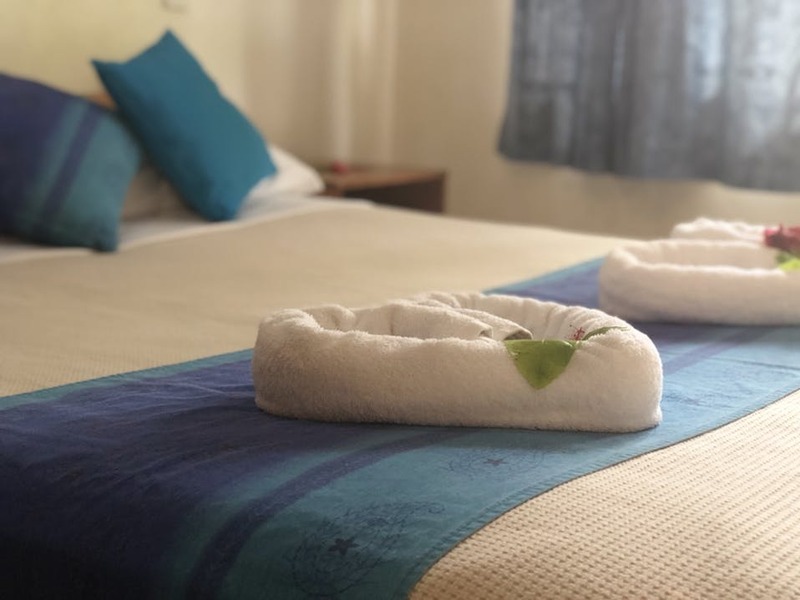 LATE BOOKINGS (35 DAYS OR FEWER BEFORE DEPARTURE) Bookings may be accepted up to the day before departure but will be subject to availability of accommodation and higher costs if applicable. 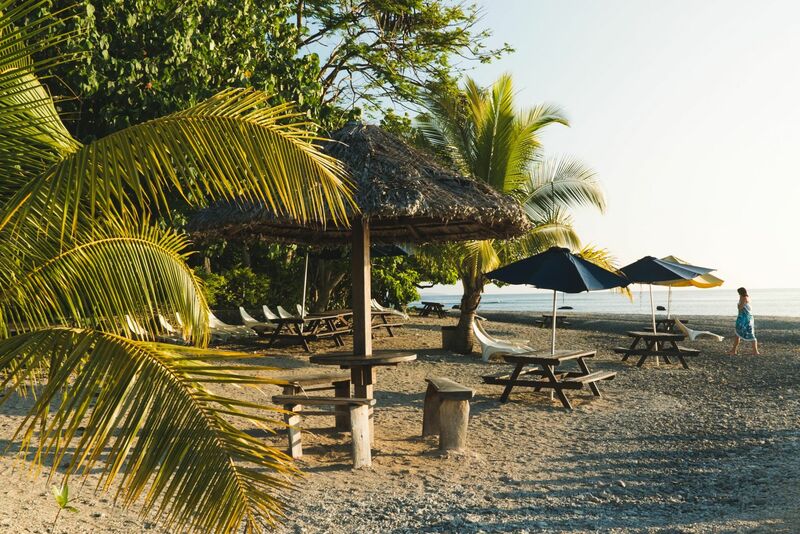 Late bookings will incur an administration charge of $50 per person in addition to the original holiday package cost to cover courier fees and bank TT fees. 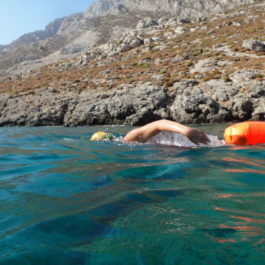 ITINERARY CHANGES (OR CHANGES TO THE ITINERARY) Whilst a daily program of swims is scheduled for the duration of the trip, conditions beyond our control, for example the weather, or other unforeseen circumstances will dictate where and when activities are undertaken. Our guides, coaches and boat captain will determine if we can proceed with the swim and at which location. ACCOMMODATION In the event that accommodation at Hideaway Island is unavailable, similar standard accommodation will be provided. If this is not possible a refund of the difference in price will be made. TRAVEL INSURANCE Whilst there is a wide range of insurance policies, it is essential to choose one that covers you not only for illness, hospitalisation, accidents, emergencies and flights cancellations/delays, baggage loss but also covers you for open water swimming. We will not be held responsible for any damages or losses to your health or properties. All claims and legalities must be dealt directly with the Insurance Company. SWIM ACTIVITIES Vladswim, its servants, managers and officers do not assume any responsibility or liability for the safety of any participating individual in any activity offered by way of the tour itinerary including but not limited to, open water swimming, diving, snorkeling and boat transport. Clients on all swimming tours must be aware that the on-site swim coach/ operator has sole responsibility for swimming activities and has the right to refuse swimming to any individual without recompense for reasons of health including instability or suspected or real intoxication, for disruptive, upsetting or dangerous behaviour to yourself or anyone else or for any suspected or real inability or incompetence. We reserve the right to change the distance and /or location of our swim trip; and also, to cancel swimming if the weather or other conditions do not permit or presents danger to our activity. FITNESS AND HEALTH You are required to have experience in open water swimming in the ocean or sea of at least 2.5Km. Swimmers should also be competent to swim a distance of 5Km at one time. Swimming requires a certain degree of fitness and personal health. If you have any doubt about your health please consult your doctor. You must provide us with details of any existing medical or physical condition that may require special accommodation or other requirements. If in our opinion our tour is unsuitable for your requirement, we may refuse to accept the booking. SPECIAL REQUESTS If you have special dietary or other requests, we will do our best to accommodate, but cannot guarantee this. You must draw our attention to any request(s) at the time of booking. OUR RESPONSIBILITIES We always do our best to make sure your holiday arrangements are satisfactory and we accept liability for, but only to the extent of, any loss or damage sustained by you as the result of negligence of that of our employees or agents. Our liability shall be no greater than 2 times the cost payable to us for your trip. However, we cannot accept any liability of whatever nature for the acts, omissions, or default, whether negligent or otherwise, of those airlines, coach or boat operators, shipping companies, hoteliers or other persons providing services in connection with your holiday pursuant to a contract between themselves and yourself (which may be evidenced in writing by the issue of a ticket, voucher, coupon or the like) and over whom we have no direct and exclusive control. We do not accept liability in contract or in tort (actionable wrong) for any injury, damage, loss, delay, additional expenses or inconvenience caused directly or indirectly by force majeure or other events which are beyond our control, or which are not preventable by reasonable diligence on our part including but not limited to war, civil disturbance, fire, floods, unusually severe weather, acts of God, acts of Government or of any other authorities, accidents to or failure of machinery or equipment or industrial action. YOUR RESPONSIBILITIES (APART FROM THOSE MENTIONED ABOVE) INCLUDE 1)	To have all necessary booking arrangements (flights, insurance…) completed by no later than 21 days prior to departure. 2)	To bring all necessary documents with you; such as: (but not limited to) passport, visas, flight tickets, exchanged money, insurance documents etc. 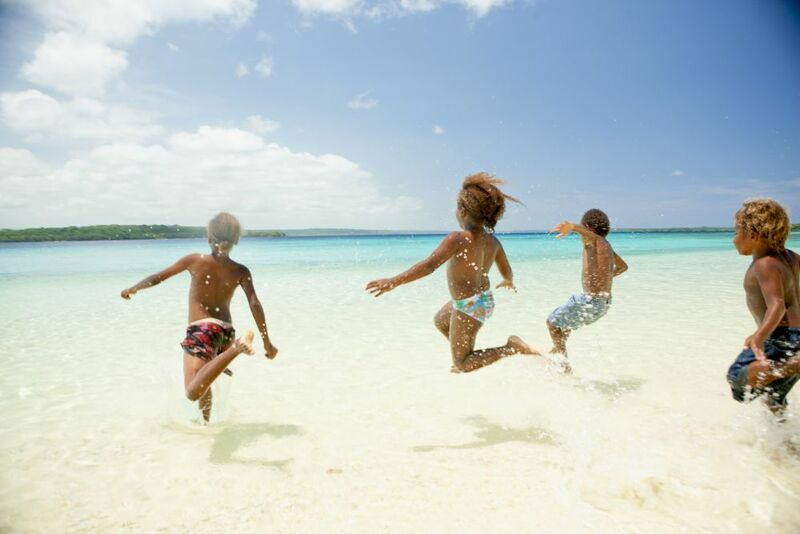 3)	That your flights or other way of transport are arranged so that you arrive at Vanuatu for the scheduled tour dates. 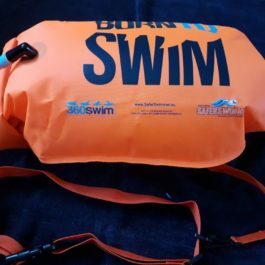 4)	To bring all equipment needed for the open water swimming (e.g. swimsuit, goggles etc.) 5)	To arrive to all scheduled swims on time and at the correct meeting point PHOTOGRAPHS During our trip photographs and videos will be takes. These may subsequently be used on our websites, social media and in promotional flyers. If you do not wish for us to use these pictures and videos please let us know.